Honestly speaking near me each and everything made with the wood pallet is worth appreciation as here we make something out of total scrap. 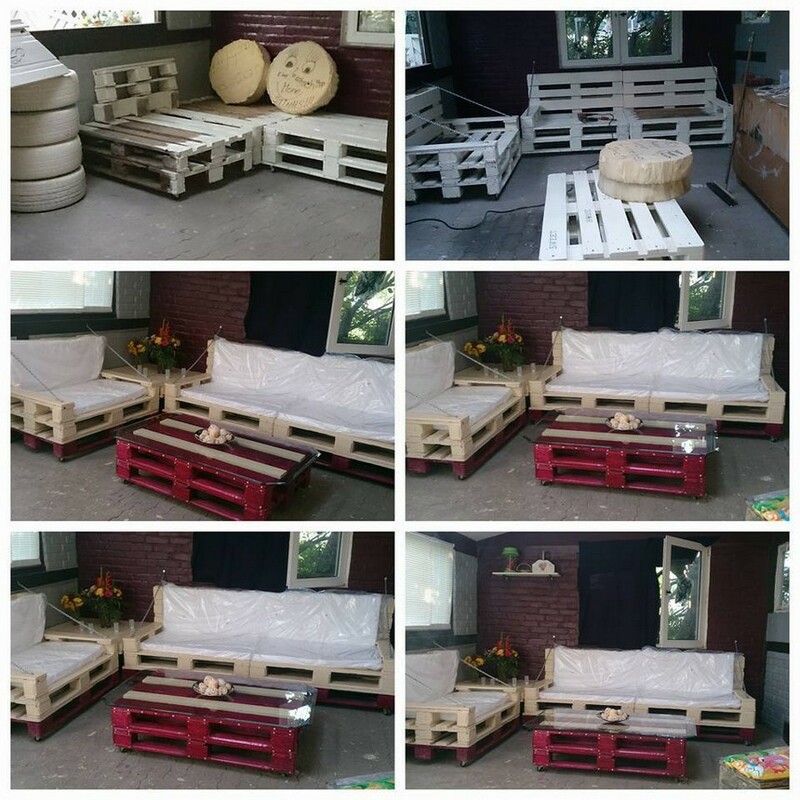 We give this ordinary material called wood pallet a whole new life and we come up with such amazing inspirations that they are far better than the market based branded furniture items. 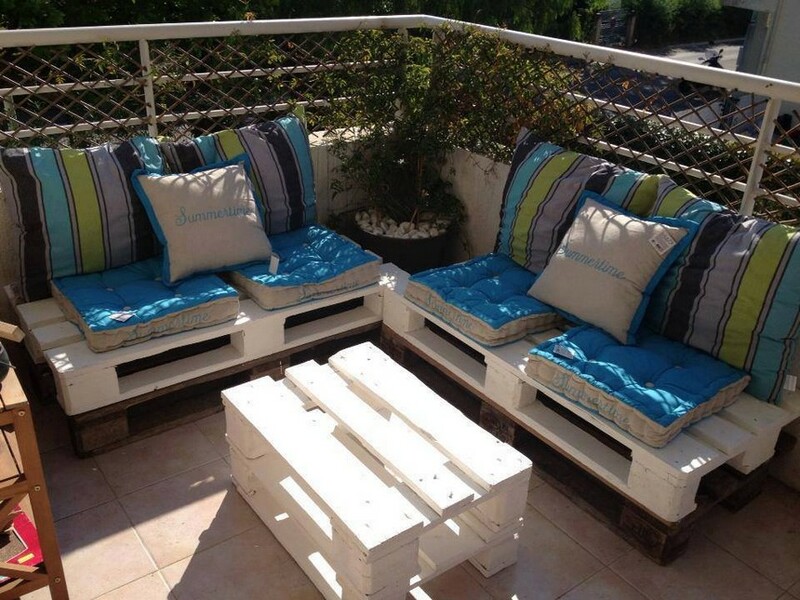 But there is a proper appearance of the pallet wood projects named as sophisticated ones. They have to look decent, and obviously the extra shiny and fancy pallet wood projects will not make their space in these sophisticated wooden pallet projects. 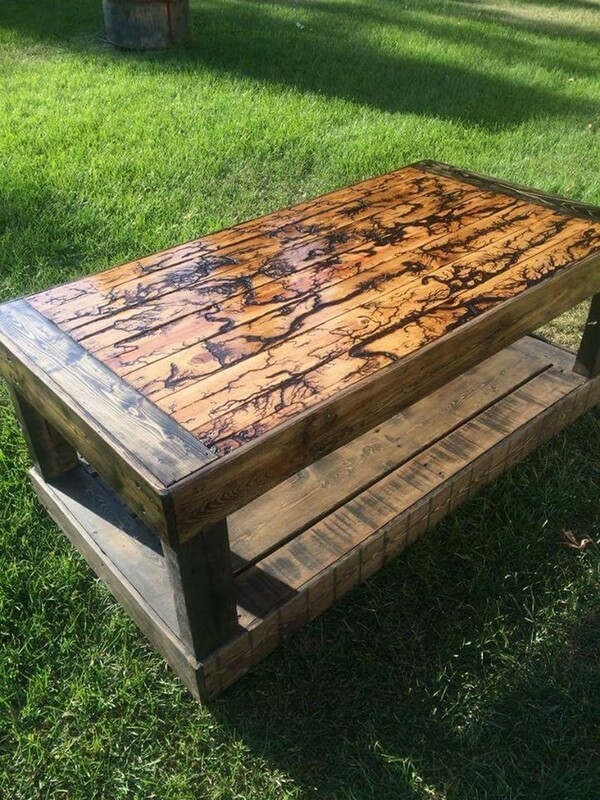 As we have mentioned this already in the very title of the article that we are going to confine this range to some sophisticated wooden pallet projects, that’s why we have paid much heed to the staining of the table and the pallet couches. We have made a very decent selection of colors. 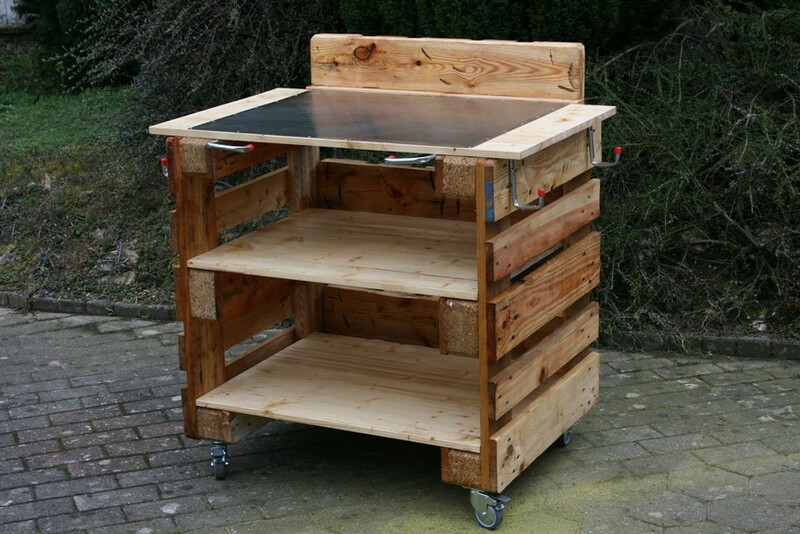 This seems like a rustic wooden trolley but actually this is a wide and comprehensive bbq table that is equipped with all desired portions that must be there in a bbq table. It has got plenty of space for accessories, the wheels on bottom that would make it easier to shift it from one place to another. I don’t think there can be any shade more sophisticated than the pure white color. So this whole wooden pallet furniture range is stained with the white color, although we have left some spaces unstained to give a mild contrast. 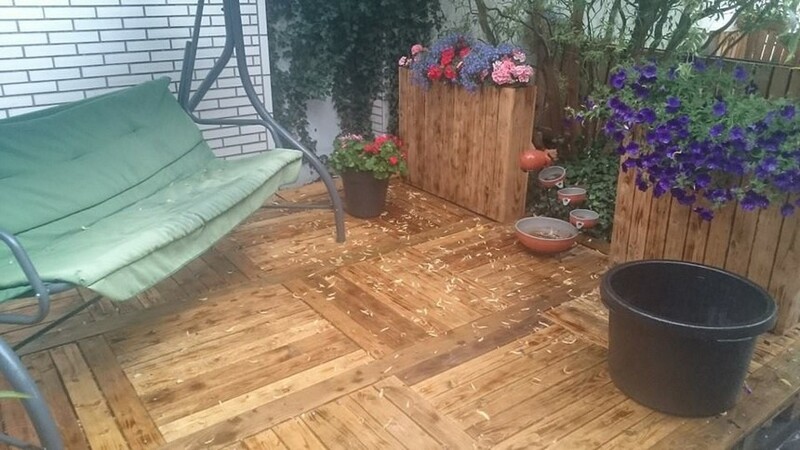 This whole wooden work that you see all around and on the ground too is done with the pallet wood. No money is spent at all except some basic minor expenses on it. We were just compelled to go for some best available shipping pallets that were fresh and clean from all the perspectives. Do you know making this side table was probably the easiest among al other wood pallet creations. 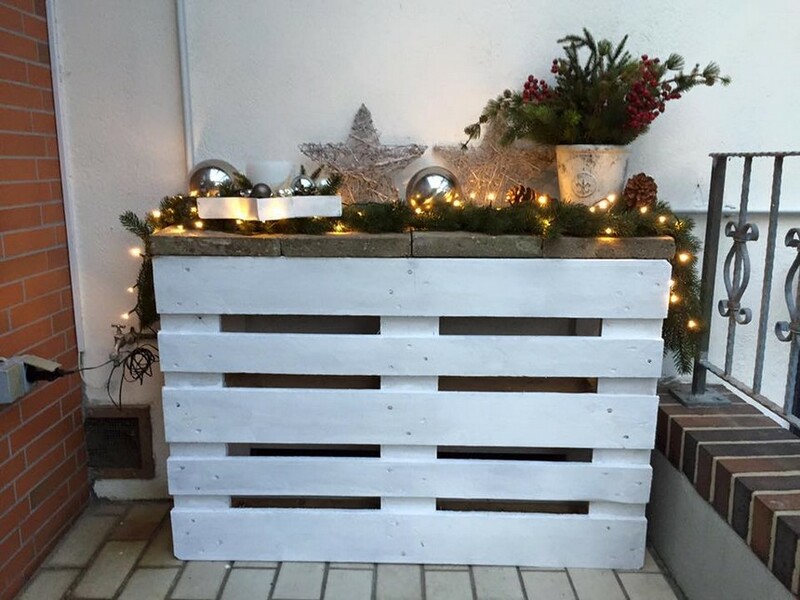 This was basically a whole shipping wood pallet that was painted in bright white shade. And on the top we have experimented with reclaimed marble slabs, and this looks pretty good. Look at the rounded corners of the wood pallet planks and also consider the extra large size of the each pallet wood plank. 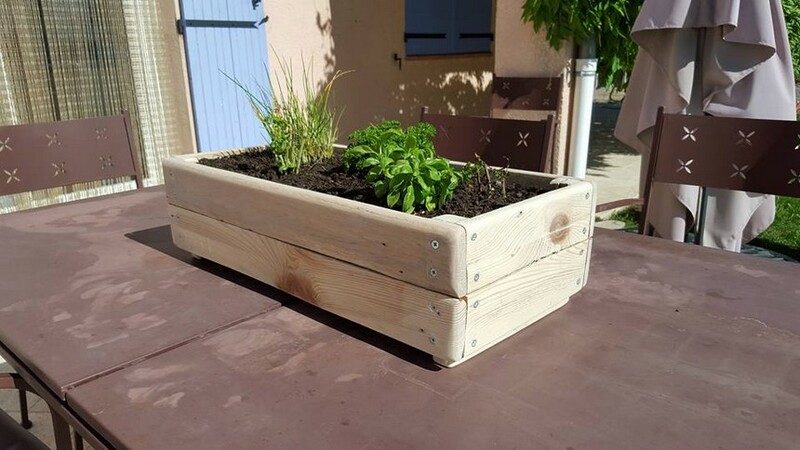 They were gained from a large sized shipping pallet and we also did a lot of work on the finishing and sanding of each pallet plank while making this raised garden bed. This cannot be a common house table or even a dining table. It has got a certain shape and look that goes perfectly with the image of a table for official use. 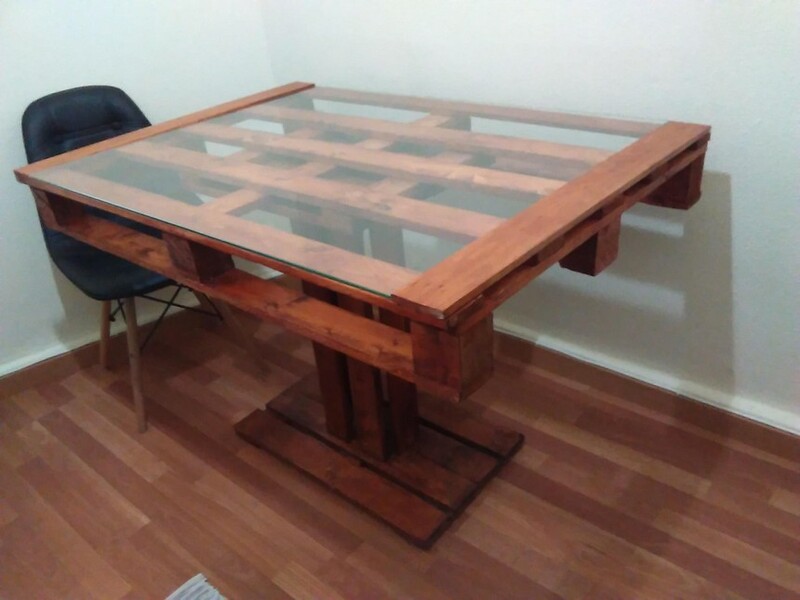 And by adding this transparent glass top we have done complete justice with this wood pallet office table. We have seen so many wooden flooring projects, we have seen the wall cladding with pallet wood, but very rare chances are there when we saw such a smart demonstration of the wood pallet work on the roof top of any room, what are your comments about it? Wall shelves are always good to have inside the room, they bring a lot of utility along with them. And not only that, they also contribute in your room interior and decoration ideas. 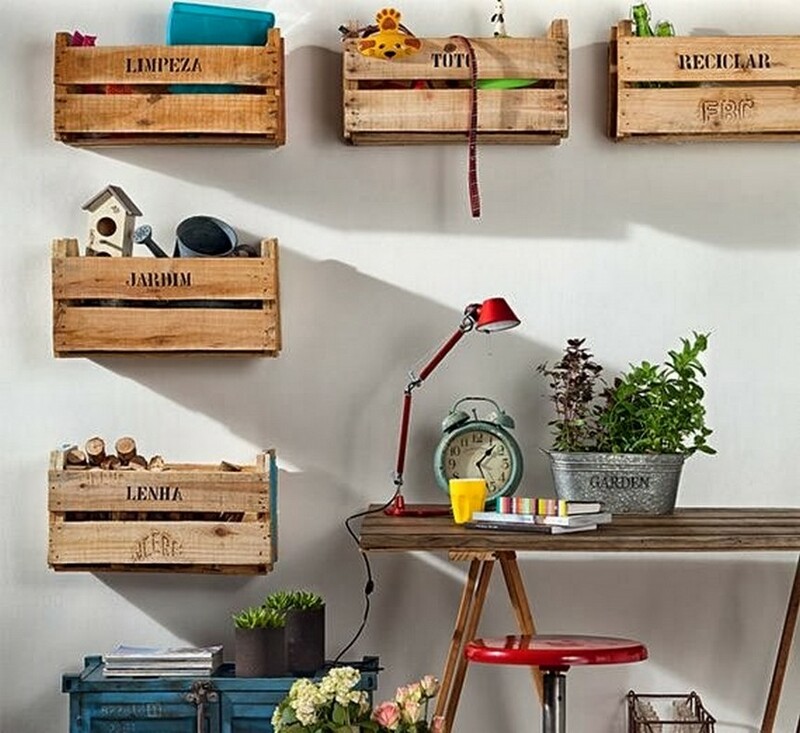 So we have brought this whole wide range of wooden wall shelves made with recycled pallet fruit crates. This is a perfectly smart and professional portable table that is attached along the wall and can be folded back when you are done with it. It has also got a number of attached shelves where all the stationary and other related stuff can be placed. 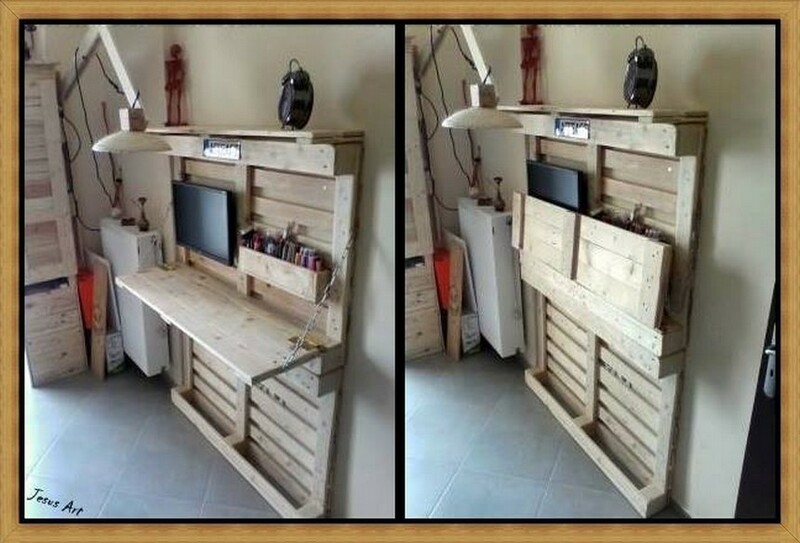 Wow, just hold your breath before having a look on this genius plan of pallet wood upcycling. 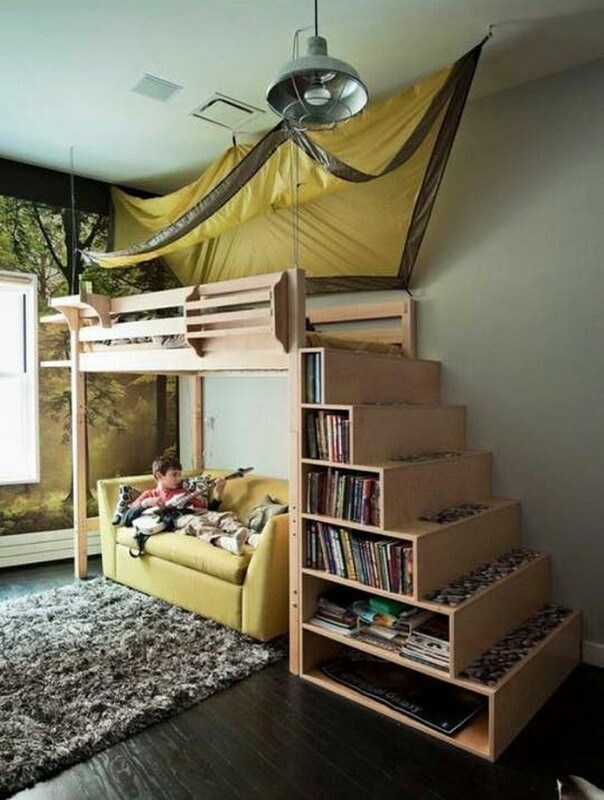 The wooden pallet ladder leading to the bunk bed of the kids is also a potential shelf where there is plenty of space where they can put inside their books and stuff. 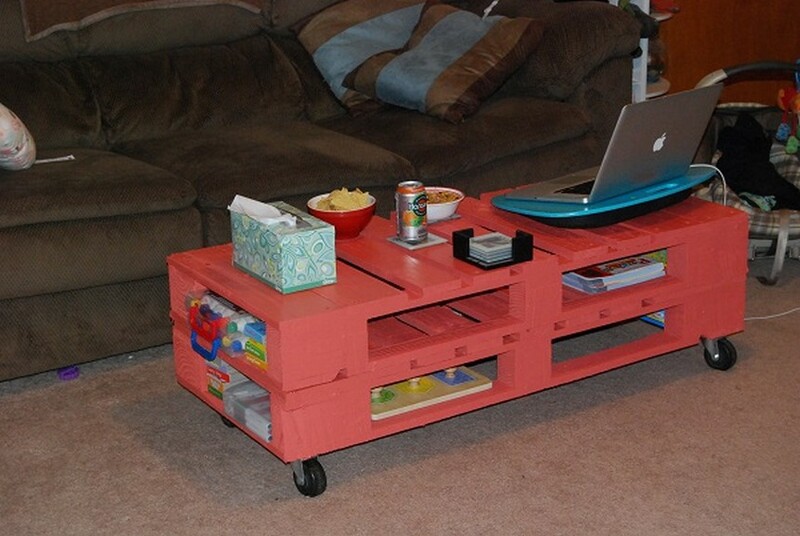 Just look at this tremendous top of the pallet wood repurposed table. 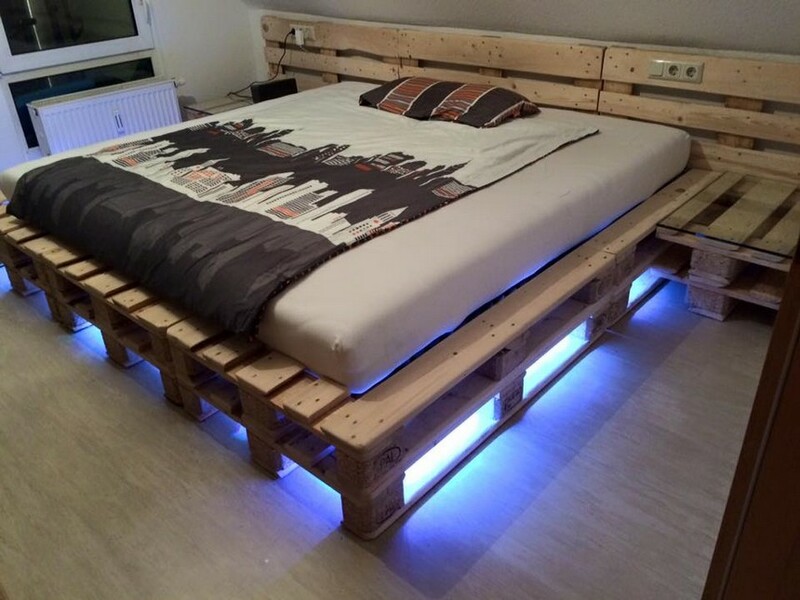 I am just running short of words to really describe the beauty and charisma of this smart pallet wood creation. Despite of very smart design and shape it has got a lot of worth because of the pretty texture of the rustic wood. 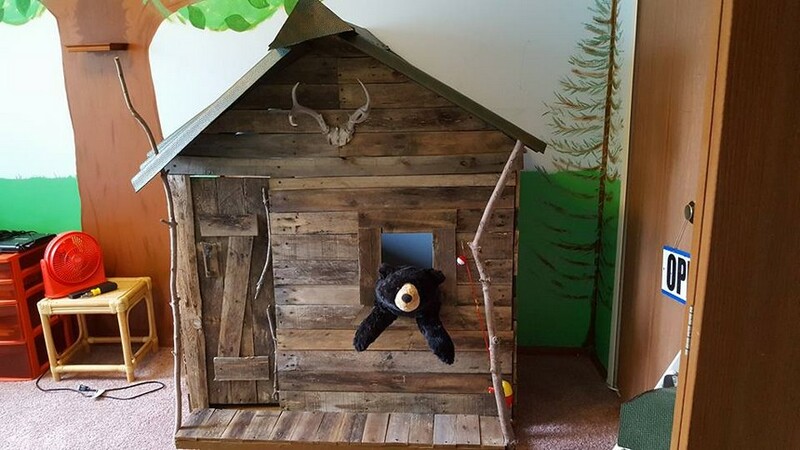 Well, you can object on the quality of the shipping wood pallet that is used here because that is quite aged and deteriorated a lot, but as far as the shape of the kids play house is concerned, that is simply awesome. Rather it is more artistic. We were supposed to not make these projects very fancy that is why although we have done this sort of fancy looking light work, but meanwhile we have neutralized the impact by leaving the entire creation pretty raw and unstained so overall it has come up as a very decent and sophisticated pallet wood project. Here we have presented you guys a whole comprehensive project that you can do yourself, take all the needed guidelines from here and try making this smart Adirondack chair. After having a look on this the whole project is going to be so damn easy for sure. First of all I would like to draw your attention towards this beautiful shade that is full of life, it has sprinkled life in a wooden furniture article. Plus there are more features that are important to be discussed as they can’t be neglected like the reclaimed wheels and a lot of space inside. 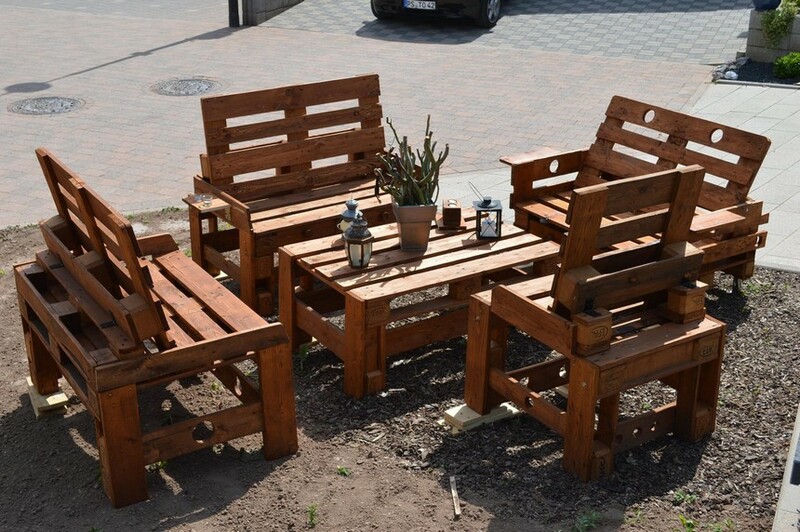 Can you figure out the difference of this rustic wood pallet upcycled furniture range? It has got random patterns, no certain sequence is followed throughout plus another thing that distinguishes it is the back of the couches. That is very tricky apparently but at the same time offers maximum ease.